The U.S. is not allowed to have an Embassy in Cuba, just like Cuba is not allowed to have an Embassy in the U.S. Instead they each have an "Interest Section". Cuba's is in Washington, DC. That is where one must apply for a visa, entry permit, etc. 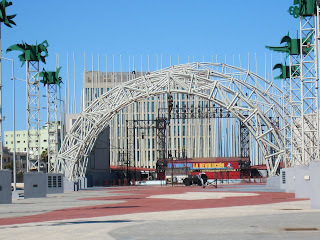 The American Interest Section is in Havana, north of town, in the Vedado area, on the Malecón. 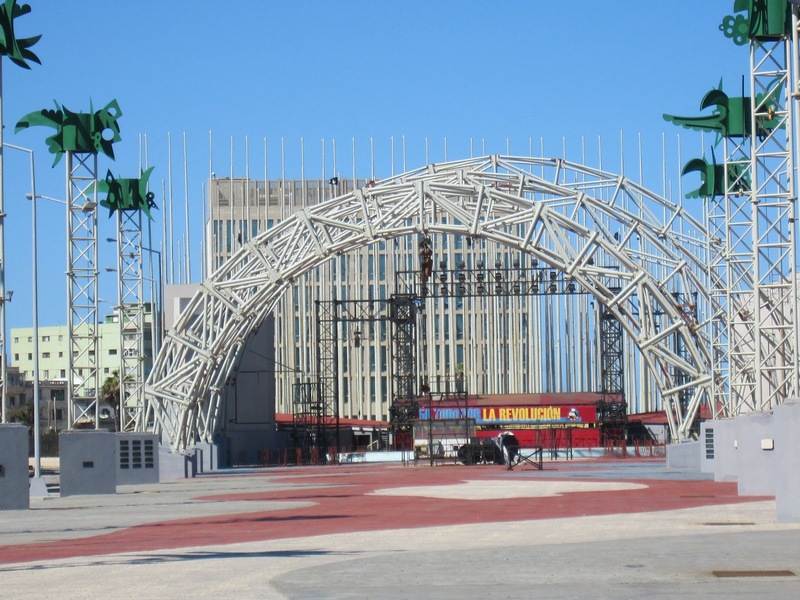 Interestingly, some years ago, Cuba constructed a number of distracting structures in front of the American Interest Section, in order to obscure it, post pro-Cuban government propaganda, etc. 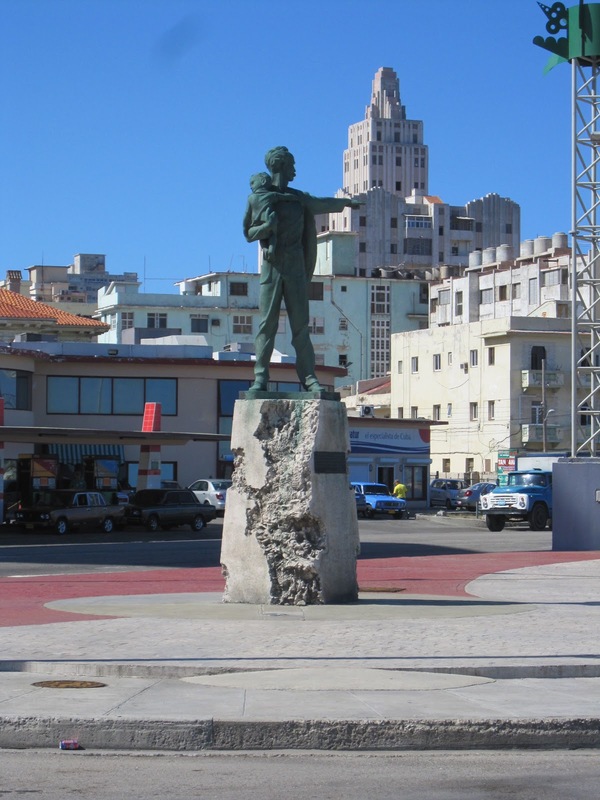 Also, there is a statue of Martí nearby, holding a young child. 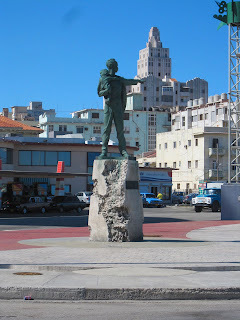 Martí is pointing in the direction of the American Interest Section. A Cuban has told me the concept is that the pointing is taunting, or denouncing the U.S.
"U.S. officials have long maintained that they are doing nothing illegal in Cuba and that supporting free speech, cultural activities and Internet access is a common practice at missions around the world. "We are absolutely guilty of those charges. The U.S. Interests Section in Havana does regularly offer free courses in using the Internet to Cubans who want to sign up. We also have computers available for Cubans to use," State Department spokeswoman Victoria Nuland told reporters in Washington. "Obviously this wouldn't be necessary if the Cuban government didn't restrict access to the Internet and prevent its own citizens from getting technology training.""